Gulnara is a street and fine art photographer based in New York City and the founder of @WomenStreetPhotographers Instagram feed and the traveling exhibition. 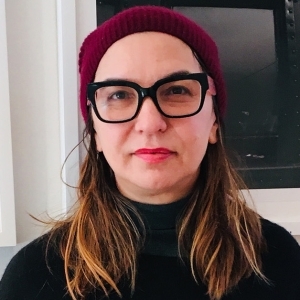 With over 30 years combined experience as a documentary photographer, artist, photojournalist and a photo editor for the Associated Press, Gulnara employs her experience and qualifications to research and curate an impressive body of work by women photographers from around the globe. The goal is to create visibility for dedicated women photographers and to encourage other women to follow their passion. Gulnara holds a certificate in creative practices from the International Center of Photography in New York City and a diploma in photography from the Moscow Poletech College. She received national and international awards for her iconic photographs from 9/11/01, including first prize in the World Press Photo and nomination for the Pulitzer Prize by the Associated Press.